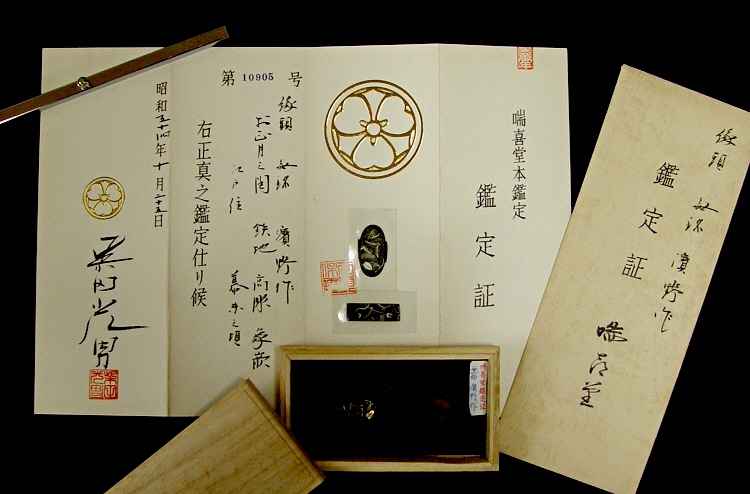 Fuchi & Kashira set with Kanteisho certificate issued by Zuikido on October 25 of 1979. 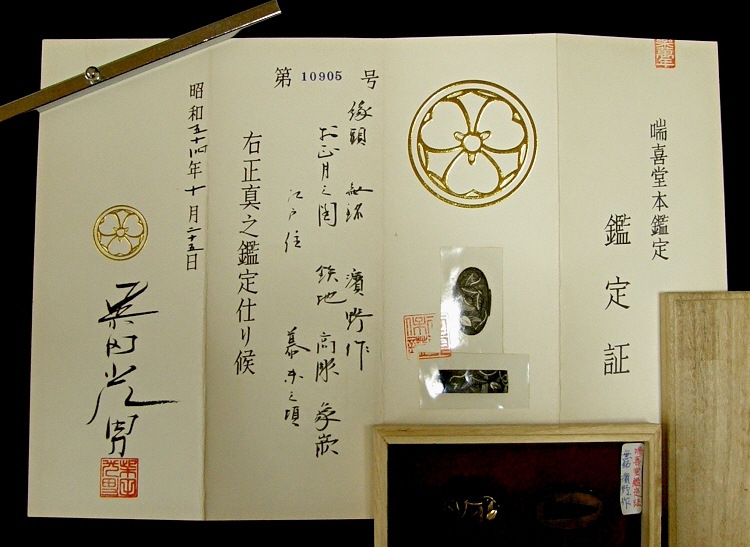 Zuikido was managed by Mitsuo Shibata, very famous and authorized Japanese sword appraiser. 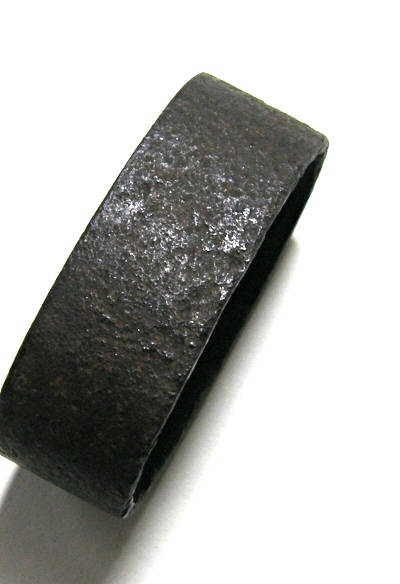 There is a signature and seal of him on the Kanteisho. 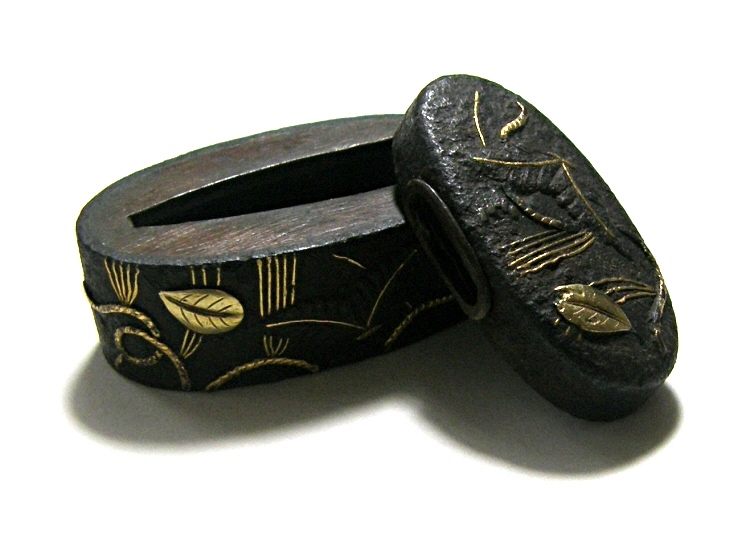 According to the Kanteisho, this Fuchi & Kashra set was made by a craftsman of the Hamano school in Edo at the end part of the Edo period. 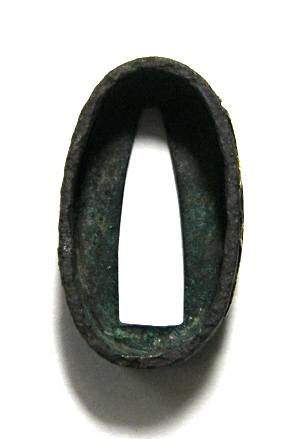 The Hamano flourished in Edo area with their superb techniques. 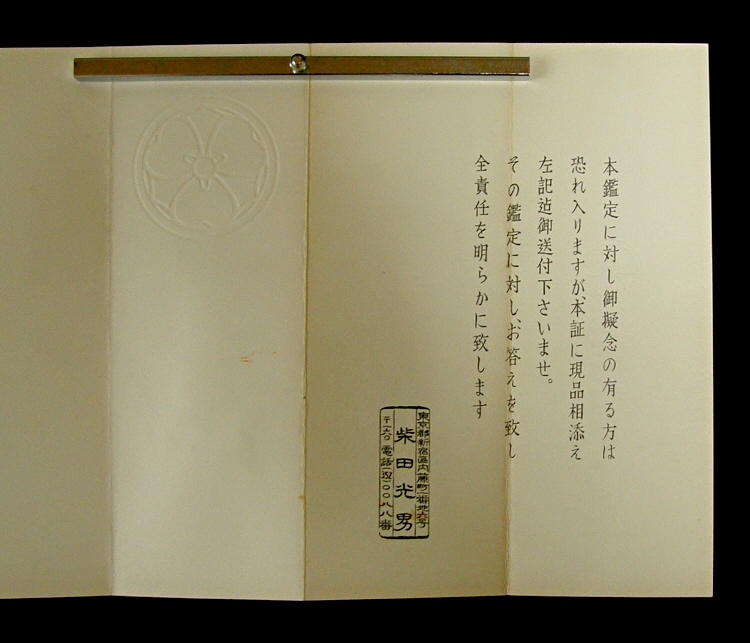 The motifs are new year items. 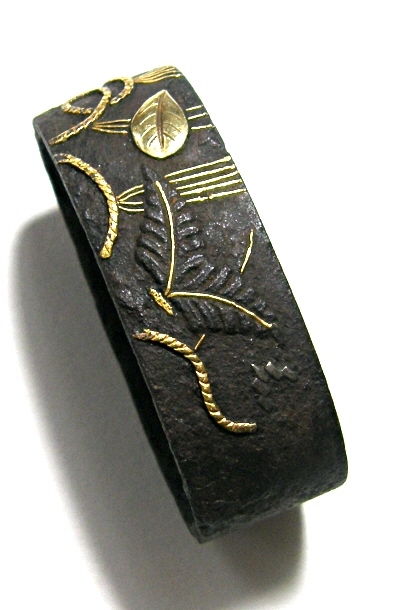 Sacred straw ropes, Matsu (Japanese Pine) needles, Kashiwa (Japanese Oak) leaves, fern leaves and others. 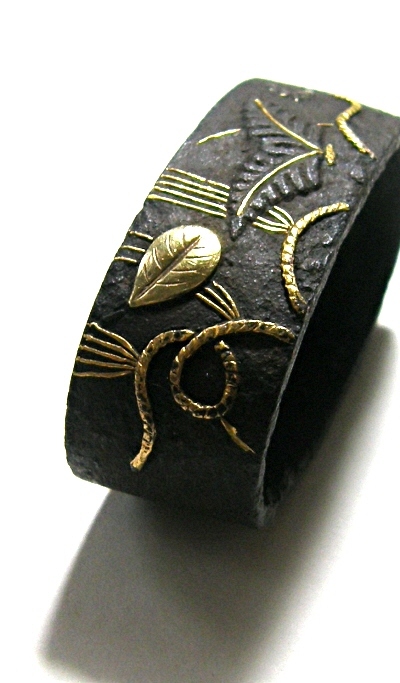 Those are expressed in the Takabori high-relief carving, the Zogan inlay method with gold. 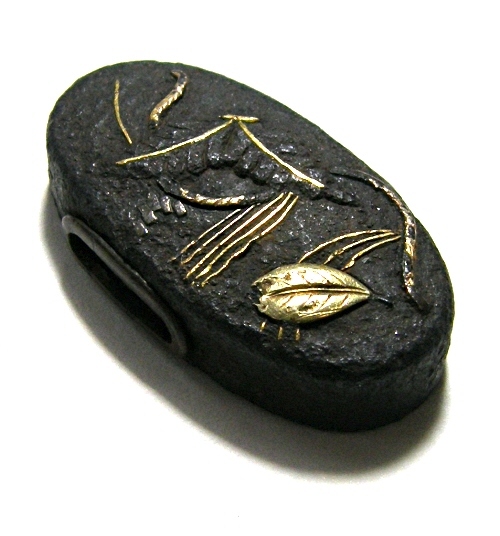 This Fuchi & Kashira set is precious one judged by Mitsuo Shibata. 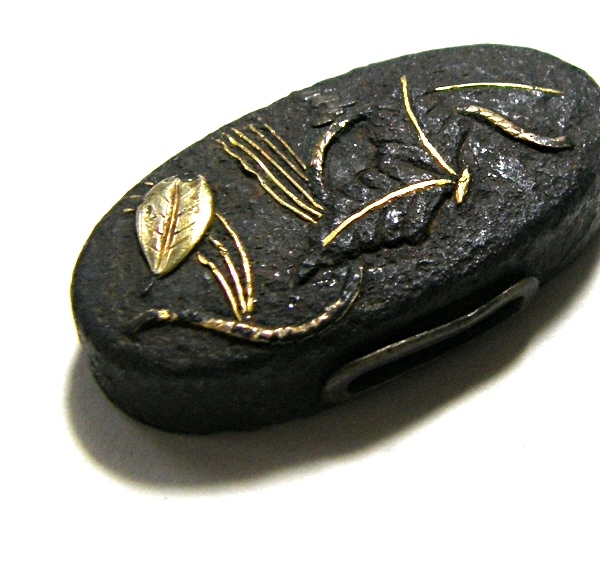 This Fuchi & Kashira Set is made from iron. 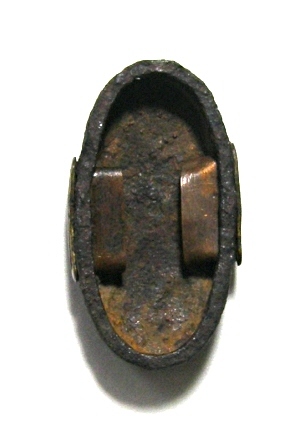 The motifs are also expressed in the Zogan inlay method with gold.